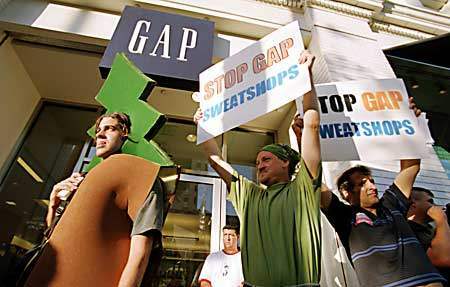 Demo at the Gap in Santa Monica. Copyright 2000 Dang Ngo. Free for use by nonprofit, anti-corporate globalization organizations and for personal use. All other rights reserved.